Robert Phelps' idea, to bridge the beginner's learning of the fingerboard with an attempt to sharpen his tonal perception, might save the guitar student a few wasted years. It is the result of an intelligent effort, to bring to the surface two of the most essential aspects of playing made by a devoted and successful performer and teacher. I am writing to give my strong endorsement to the guitar book authored by Mr. Rob Phelps. This work is a reflection of his imaginative approach to teaching, and is based on years of experience gained teaching at various levels, including five years at the University of Massachusetts. 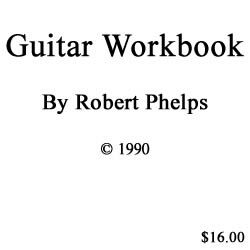 Mr. Phelps' book is a unique and valuable addition to current texts, filling a gap in the guitarists training which other methods do not. His book combines ear training, and elementary aspects of theory in an experimental approach, so the developing guitarist applies his newfound knowledge directly to the instrument. This integrates the learning process, and quickly advances the student's musical skills and confidence. Mr. Phelps skill as a writer will enable him to expand this concept into a series of texts which will address the guitarist's need to combine practical and theoretical concerns at all levels, from a more simplified version for young students, to advanced books with examples of musical events selected from the repertoire. In my opinion such a group of books would have great appeal to teachers in Music Education programs, as well as to every music teacher who is concerned about the musical skills of his students. Additionally, I would add that Mr. Phelps is himself a very talented guitarist, and an experienced performer who is sensitive to the needs of the professional for a firm background in all aspects of music making. Learning Guitar Fingerboard Theory is well thought out and consistent. If applied as directed it should greatly enhance any student’s understanding and fluency in relating basic theoretical ideas to the fingerboard. The presentation avoids unnecessary jargon, and Phelps puts things in a concise and straightforward manner. Some of the concepts are, by nature not easily explained and the assistance of an instructor will be helpful. If the drills, particularly in the “guitar keys” are repeated occasionally the book will also greatly enhance the student’s sight-reading ability. Phelps’ book would be an ideal text for a fingerboard theory class; it is suitable for use by dedicated students from age ten to adult. HIGHLY RECOMMENDED. 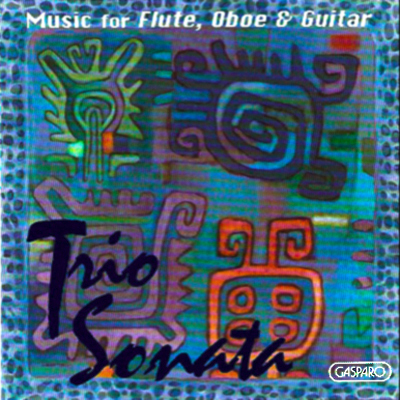 This latest release by Trio Sonata [Anton Kuskin, flute; Judith Dansker, oboe; Robert Phelps,guitar] follows in their tradition of mixing old and new styles and periods of music. The programming is eclectic and highly enjoyable with a mix of solos, duos and trios. The Lauro works are well known to almost all guitarists and remain perennial favorites. Phelp's rendition is less boisterous than some, bringing out more of the lyrical quality that hides inside all Lauro's works, even the most rhythmic. His approach is in keeping with the overall tenor of the disc. The Handel Sonata is a lovely choice to end the disc. It has great expressive variety, showcasing the ensemble's cohesiveness and taste. The recording quality is very good with enough "room sound" to give the impression of space, but not so much that clarity is sacrificed. The overall sound is slightly distanced with a live-performance ambiance. The balance between instruments is excellent with no sense of artificial heightening of the guitar to bring it to the level of the other instruments. We are also not given the impression that the flute and oboe are holding back to accommodate the guitar's slightly more limited dynamic range. The CD is a polished and enjoyable addition to the discography of the guitar. I assume that this recital was recorded during 2006. 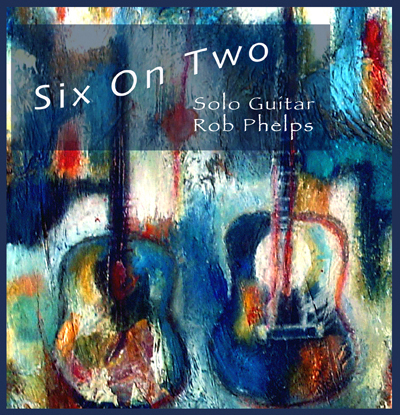 Phelps is an Adjunct Teacher of guitar at Williams College and has been now since 1990. He's versed in jazz as well as the classical repertoire and he's published books on technique and also, with Fernando Valenti, six transcriptions of Scarlatti Harpsichord transcriptions. This being so it's a bit remiss of Gasparo not to identify the particular transcription Phelps plays on this disc. The recital ranges from Scarlatti and Sor to the contemporary charms of Schoenberg (Steven) and Golub who were both born in 1952. The Scarlatti is convincing and pliant whilst the Sor Op.20 - which if memory doesn't defeat me Julian Bream tended to pass over in favour of some of the other Sor variational challenges - is well characterised. Phelps strikes a rather classical position here which I think quite right for though he plays warmly he never neglects the spine that runs throughout and nor does he promote a romanticised view at the expense of stylistic probity. Lauro's Valse Venezolano is a collection of three small, languid and colourful pieces, old fashioned in the best sense and an ear-pleaser. Schoenberg's Lullaby and Fantasy has an infant inspiration as one might infer and makes for delightfully rocking listening especially with its baroque tinges. Golub has crafted three short pieces, little Interludes that describe the changing times of the day (Day Break, Mid-day, Lullabye, as spelled). They range from singingly chivalric to the unaffected generous, pleasurable additions to the lighter repertoire. Britten's Dowland-inspired Nocturnal, so reminiscent of Lachrymae is the great masterpiece here. I liked the way in which Phelps evokes the nagging insistence of the third movement (Restless) and the way he elsewhere conveys the unsettled and the insistent. Greatest emotive weight naturally is reserved for the long and involvingly complex Passacaglia finale. With good sound quality, Phelps proves a handy guide to this repertoire, not least in the Schoenberg which was dedicated to him. It's a miscellaneous programme that reflects his interest in new editions, new work and core classics.